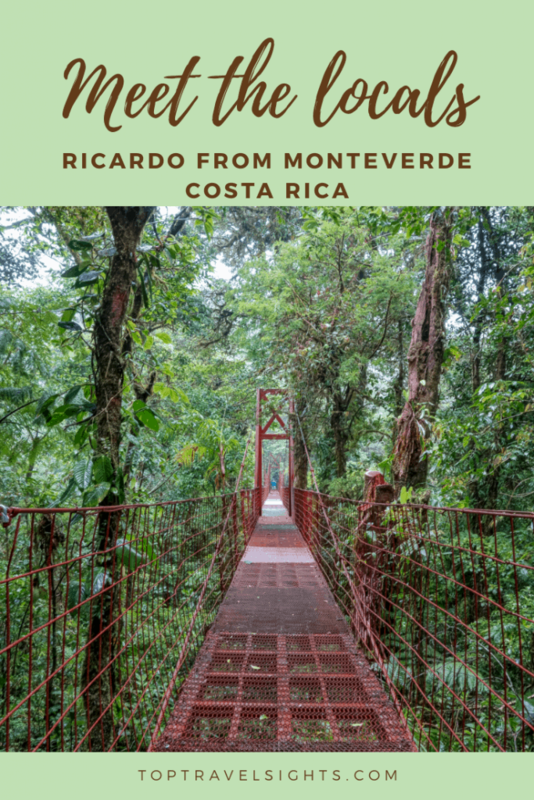 Last week, I got the chance to visit the Monteverde Cloud Forest Reserve. While the weather was rainy and cloudy (I guess that’s why it’s called a cloud forest) and we did not get to see many animals, we walked through a beautiful forest. And I had the opportunity of meeting Ricardo. He was our jungle guide, someone whose family had been around at the founding time of Monteverde, and he was nice enough to agree to do an interview with me. Interviewing Ricardo. Note our fashionable rain ponchos! My name is Ricardo Guindon and I’m the son of Wilford Guindon, nicknamed Wolf, who is one of the founders of the Quakers community of Monteverde and also of the Monteverde Cloud Forest Reserve. I’ve been working in the reserve since 1987, doing guided tours. The Monteverde community was founded by a group of Quakers that were looking to support a country that had made a stop along their lines of thinking as pacifists. Costa Rica had just abolished its army in 1948. The Quakers created this community here and they happened to establish it in a very rich area, the cloud forest with its high levels of endemic species. This included the golden toad, discovered by Jerry James. The discovery of this and other species prompted him and my dad to establish a nature reserve, to stop the deforestation and to stop the hunting. But now, thanks to your visit, it is self-sustained economically. 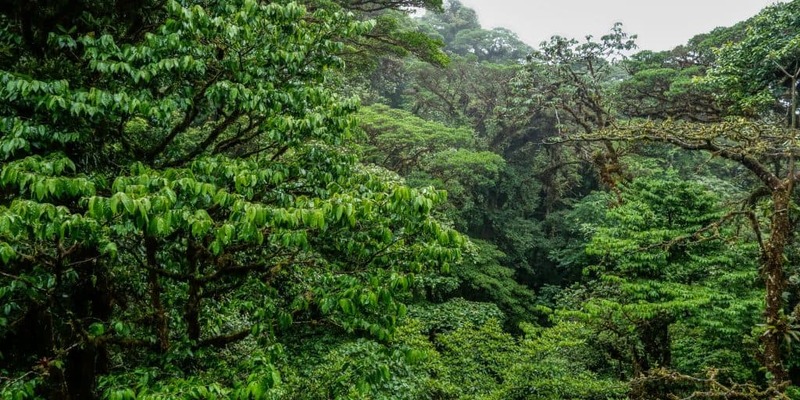 The people of Monteverde have changed their lifestyles from an agricultural community to a community that depends at least in part, but almost totally, on eco-tourism. How did you decide to become a guide? Have you always wanted to be one? I did not even imagine that there was such a thing. It started when I was a boy. The cloud forest reserve is known by a handful of biologists and somebody’s father would hire local field assistants. That’s how I got into it. I worked for an ornithologist studying jays and that’s how I got the virus of bird-watching. I fell in love with birds and so when I went to college, I went with the idea of studying ornithology and maybe doing research here. 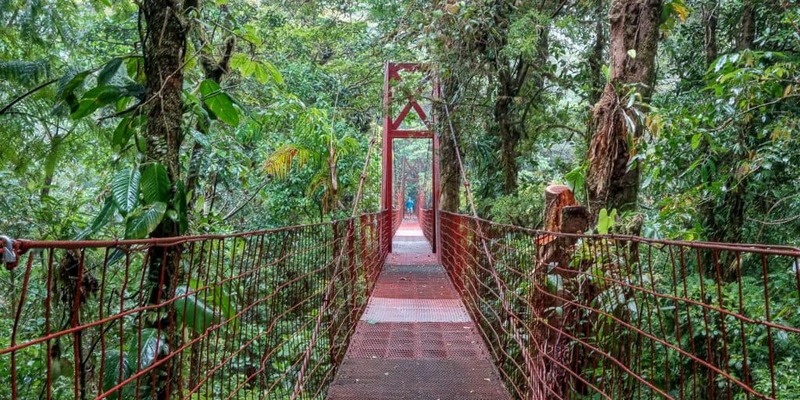 But it wasn’t until a few years later, when I came back to Monteverde at the end of the eighties, that Monteverde started to receive enough tourism to start a whole new industry. There were hotels going up and someone suggested to offer the growing number of visitors a guided tour. In the beginning, there were only a couple of us local guides giving tours and all of a sudden, it turned into a full profession. We have now over 50 guides working independently in the whole area. What do you like most about being a guide? It is a privilege, a privilege in many, many ways. First of all, just a chance to stand hours after hours in the forest is a privilege. It is a beautiful, unique forest. The second is to be able to share all that I have learned about it with the visitors, explaining those things that are unique, those things that make it special. To be able to share that is a real privilege. Do you have a favourite place in the forest or maybe a favourite animal you like to see? Well, as I said, I’m a bird watcher so birds are what I spend most of my time focused on. I’m hoping to get some funding for some more systematic studies to demonstrate the changes and to better assess the health of bird populations. We have the continental divide, which is not that far from here and at the very top of the mountain range. I’m hoping to look on both sides because the Caribbean side, which is the least accessible, is an area that is also showing changes in terms of upslope movements of bird species. This puts pressure on the species which are found at the very top of the mountain. They have nowhere else to go. We would expect that, if things continue the way they are, some of these unique species will disappear, like our golden toad disappeared in the eighties. That’s a concern that I would like to be able to assess, so I could at least alert the scientific world of what’s happening. Do you think there’s any way of preventing what’s happening, of protecting the species? I think the only way is a major change in lifestyles. If we don’t have that from a government level, a change in how we make our living and what we produce and what we live off of, it would be very, very difficult. Already, there is a series of chain-events that have started that will take time to go through, before nature can recuperate. Nature shows the ability, over millions of years, to cope with catastrophic changes. There are species that are able to survive and new generations and new species evolve. We as humans want to be part of that survival of species. We need to figure out what it is that is causing that rapid change in our climate and how we can keep the effects of that to a minimum. What would you say to the people who want to support protecting the region? Come and visit! It’s very hard to have people interested in putting money towards protecting something they don’t have access to and they can’t see. So we need lots of people who can come to visit and fall in love with the beauty of this natural area. Your entrance fee provides the economic support to not only keep protecting the forest but also to support investigations. It also goes towards environmental education. We are working with children of the schools in the area so people become more aware of the importance of natural resources and get some better ideas of how to wisely use what we have. 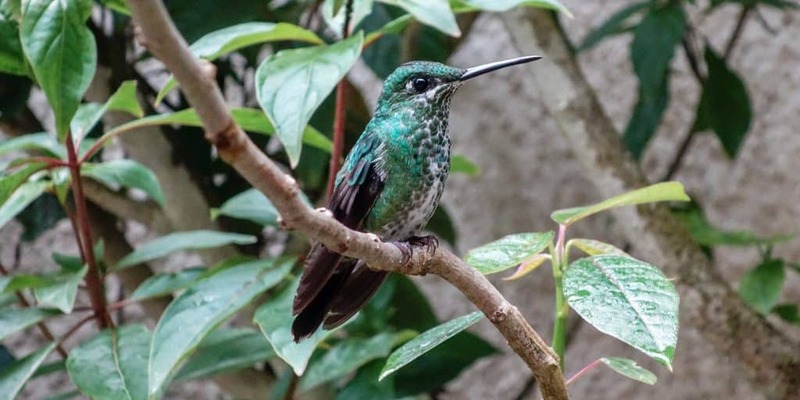 How many visitors do you have here in Monteverde each year? It’s been over 80.000 visitors. We had one year peak to 100.000, but it’s been about 80.000 visitors per year. No, I just want to once again thank you for visiting us. As the day after tomorrow, I am now going to be an independent guide, so if you wish to contact me directly, you can send me an e-mail. I have one final question. What are the three places you think visitors should see in Costa Rica? Wow, that’s hard. It is very hard because we have basically four areas. I could tell you about four. You need to visit the tropical dry forest in the Pacific Northwest. Some of the beaches can help give you a little taste of the area. You need to visit the South Pacific, which is almost as wet as the weathers in the rainforest. It is our closest thing to the Amazon. I recommend visiting the area of conversation of Corcovado. The Osa Peninsula is one of the most spectacular places. We have mountains, these middle-elevation cloud forests to mountain peaks with paramore, like in the Andes. Last, the Caribbean side is perhaps the more uniform rainforest. You could visit one of those places like Tortuguero, which is one of the remaining patches of the rainforest of the Caribbean. That way you get a sense of our incredible diversity in just a tiny little country. 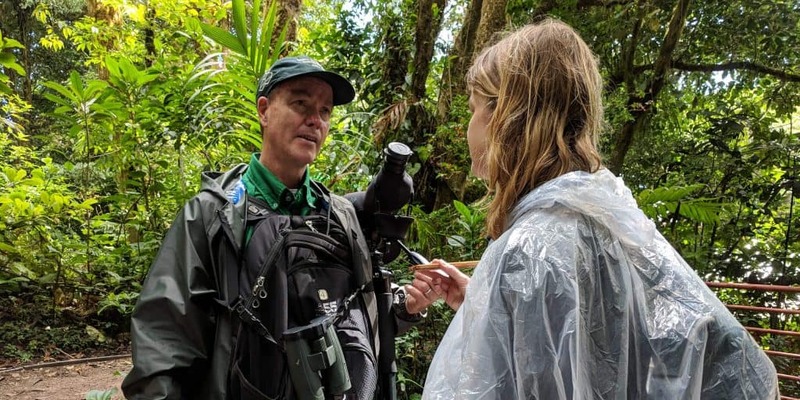 If you are visiting the Monteverde area and would like to contact Ricardo Guindon for his guiding services, you can send him an email at ricguindon@gmail.com. Having grown up in Monteverde, he knows the area better than most people and can help you make the most of your time there. Have you ever been to Costa Rica? And are you aware of the way the climate change affects our planet and our environment? If you like getting to know more about the locals I meet along my travels, be sure to check out my previous interviews with Jaime from Ecuador, Juan from Colombia and Dorothy from Panama.